June 5, 2018 - In noteworthy measures imposed on May 30th, the U.S. Treasury Department blacklisted Tehran’s notorious Evin Prison, along with a number of other individuals and entities involved in the regimes’ crackdown machine. The Iranian people and their organized resistance movement, symbolized in the National Council of Resistance of Iran (NCRI), have long called for such action. Senior Iranian regime officials comprehend the importance of sanctioning Evin Prison more than all other parties. Hossein Alakaram, head of the repressive Ansar-e Hezbollah, joined the Revolutionary Guards (IRGC) back in the early years of the Iran-Iraq War of the 1980s and promoted to a brigadier general. Ansar-e Hezbollah was established in 1991 by Alakaram, a mullah by the name of Parvazi, IRGC members Naqadi, Zolqadr, Abdulhamid Mohtasham and others. Alakaram played a significant role in a 1995 attack on a “Quds Cinema,” attempting to prevent a movie broadcast showing the regime’s repressive measures. The 1999 attack on college campuses to quell that years’ student uprising and other such quelling also saw Alakaram’s highly involved role. In 2005 he was dispatched as a military advisor to a Balkan country and continued his activities in the Quds Force. Abdulhamid Mohtasham is currently the Ansar-e Hezbollah Secretary General. Under orders issued by Iranian regime founder Khomeini, Mohtasham was dispatched to Iran’s Kurdistan region in 1979 and played an active role throughout the Iran-Iraq War and crimes committed against Iran’s Kurdish community. He has time and again said with pride how he never takes any prisoners, executing anyone arrested on the spot and countless kill shots against prisoners. Mohtasham was also involved in street protest crackdowns, especially against Tehran University students revolting in 1999, and specifically played a role in acid attacks targeting Iranian women. Hamid Ostad, head of Ansar-el Hezbollah in Mashhad, northeast Iran, is very close to former presidential candidate Ibrahim Raisi. Raisi, current head of the Astane Quds Razavi foundation in Mashhad, had a major role in the 1988 massacre of over 30,000 political prisoners across the Iran.  The victims were mostly members and supporters of the Iranian opposition People's Mojahedin Organization of Iran (PMOI/MEK). Ostad receives his paycheck from the IRGC’s “Imam Reza Corps” in Mashhad. The Hanista Programming Group developed Mobogram, Mobogram One an Mogobrand Two, along with MoboPlus, and is closely linked to the Iranian regime’s Ministry of Intelligence. Hanista played an important role in censoring, monitoring and identifying individuals active on social media. Abdulali Ali Asgari currently heads the Iranian regime’s state-run radio and TV stations. Back in 1979 he took part in quelling the people of Iranian Kurdstan. Since 2015 Abolhasan Firuzabadi has served as Secretary of the Supreme Cyberspace Council, playing an important role in censoring various aspects of the internet. Abdulsamad Khoramabadi, currently a judge in the Iranian regime’s so-called judiciary system, has been an effective figure in blocking the Iranian population’s access to information on the internet. The sanctions imposed on Tehran’s Evin Prison is of grave importance considering the fact that thousands of dissidents have been tortured and executed in this atrocious facility. All the cells, wards and even the hills north of this site have witnessed countless crimes against the Iranian people. The tortures imposed in this facility are far beyond a human being’s tolerance. What makes Evin different from other prisons across the globe is the scope of atrocities carried out inside its walls, many going unnoticed and unreported. Sanctioning Evin Prison and other measures imposed against the Iranian regime decreases the capability and capacity of its crackdown machine, and will lead to repents in its ranks and files.